Visit the LACNETS YouTube channel to check out our full NET video library! 80+ NET videos including top NET experts from around the world! View the full video playlist here. While you’re here, be sure to check out the LACNETS blog with recent NET news & updates. Have you heard of NETCONNECT? NETCONNECT is a buddy system to connect NET patients and caregivers with others to be there for one another to ask questions, for support and beyond. Click here to learn more. The Carcinoid Cancer Foundation is the oldest nonprofit carcinoid/and related neuroendocrine tumor organization in the United States, founded in 1968. The mission of this foundation is to increase awareness and educate the general public and healthcare professionals regarding carcinoid and related neuroendocrine tumors (NETs), to support NET cancer patients and their families, and to serve as patient advocates. Visit www.carcinoid.org to learn more. The Healing NET Foundation mission: To optimize the care of those with neuroendocrine cancer through the education of and collaboration among physicians, health care providers, patients, and caregivers. Visit www.thehealingnet.org for more information. SDNETS is a patient support group in San Diego, Calif. Their mission is to provide support through group discussion and a mentoring program, to share challenges and experiences, to learn about prognosis and treatment options, to provide the latest information about the diagnosis and treatment of NETS including carcinoid tumors, and to facilitate access to resources for patients, families, friends and caregivers. 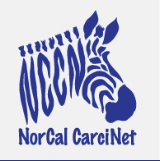 NorCal CarciNET is a patient support group in Northern California. Their mission is to help those with neuroendocrine tumors and carcinoid to share challenges and experiences, learn about prognosis and treatments, find information, and improve communications between the medical community, patients and caregivers. The mission of the Neuroendocrine Tumor Research Foundation (NETRF) is to fund research to discover cures and more effective treatments for neuroendocrine cancers. To achieve rapid discovery of cures, the NET Research Foundation directs its donations to fund breakthrough scientific research of neuroendocrine cancers. Since its inception, the NET Research Foundation has awarded $20 million in large-scale, multi-year research grants to leading scientists at renowned research institutions around the world. The Carcinoid-NeuroEndocrine Tumour Society (CNETS) – Canada was formed in 2007 to assist the Canadian community, primarily patients, with this type of disease. For more information, visit cnetscanada.org; check out the NET reference guide. NET Patient Foundation is a UK wide charity set up to help, inform and guide anyone affected by Neuroendocrine Cancer. To learn more, visit www.netpatientfoundation.org; & check out the NET Handbook. The North American Neuroendocrine Tumor Society (NANETS) is dedicated to educating medical professionals on the diagnosis and treatment of NET disease and supporting research and innovation in the field. For more information, visit nanets.net/resources/patient-resources. The International Neuroendocrine Cancer Alliance’s mission is to be the global advocate for neuroendocrine cancer patients. Go to incalliance.org to learn more. The Neuroendocrine Cancer Awareness Network (NCAN) is a non-profit organization dedicated to raising awareness of Neuroendocrine Cancer, providing support for caregivers and people with NETs, and funding for NET cancer research. Since 2003, it has been their mission, or as they like to say, their passion, to educate and support the NET community as a whole. To learn more, visit www.netcancerawareness.org/patient-info. PRRTinfo.org is a site for patients considering PRRT (Peptide Receptor Radionuclide Therapy) treatment in Germany written by patients for patients. KnowYourNETS is all about empowering people with NETs and their loved ones with information and resources to encourage them to expect more from their doctors, expect more from their treatment and expect more from themselves. Please visit, www.knowyournets.com/materials; & be sure to check out the glossary. Whether you’ve recently been diagnosed with a neuroendocrine tumor (NET) or are looking to learn more about the symptoms you’re experiencing – CarcinoidSyndrome.org can help you find the answers you need most. Inspired by responses to the Carcinoid Impact Survey, The About Carcinoid Community was created to connect people who are living with Carcinoid Syndrome. Ask questions, receive answers, and access support tools all in one online community. 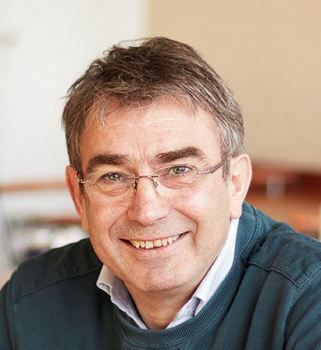 Ronny Allan, Patient advocate and blogger - International Awareness of Neuroendocrine Cancer and associated issues. Supporting and helping Neuroendocrine Cancer Patients. DRLC’s Cancer Legal Resource Center (CLRC) was founded in 1997 to address the legal issues faced by people with cancer, unique in the larger disability community, and is committed to providing information and resources about cancer-related legal issues to members of the cancer community across the nation. CLRC is the only national dedicated center for patients, survivors, caregivers, and health care professionals to access confidential cancer-related legal information and resources at no cost. For more information, visit www.Triagecancer.org. American Cancer Society Personal Health Manager - This organizational portfolio for newly diagnosed patients – with information tailored to their type of cancer – can help patients and caregivers make educated health decisions and get connected to local resources and services. Click here to download NCCN Guidelines for Patients.